A defence source said there was "high expectation" that the agreement would be signed on Thursday by US Defense Secretary Jim Mattis and Defence Minister Nirmala Sitharaman. The military communications agreement with US has been customised to address Indian concerns. A first source said the Communications Compatibility and Security Agreement (COMCASA) was discussed in a meeting of Prime Minister Narendra Modi's cabinet committee on security on Wednesday evening, hours ahead of a meeting between the defence and foreign heads of India and the United States. "It will be a positive development tomorrow," the source said, declining to be named given the sensitivity of the matter. "It will definitely be reflected in the joint statement." 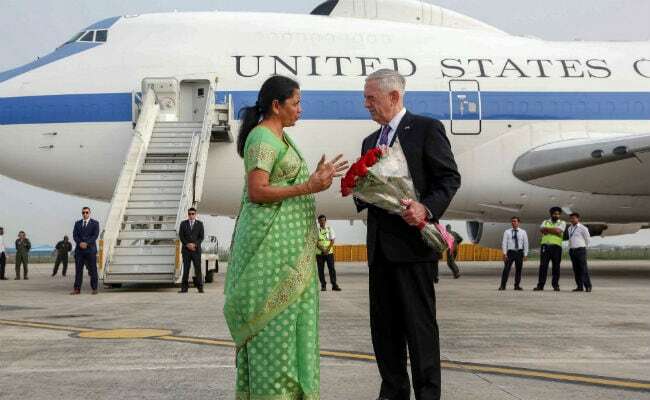 A second government defence source said there was "high expectation" that the agreement would be signed on Thursday by US Defense Secretary Jim Mattis and Defence Minister Nirmala Sitharaman. Indian and US officials have been seeking a breakthrough in the talks over the COMCASA to expand defence cooperation between the world's two largest democracies. "We hope we can find opportunities to continue to expand the relationship, not only diplomatic and military to military, but a good set of business relationships as well between the two countries," Pompeo told reporters on Tuesday, calling India the United States' "only major defence partner".